ONE CLUE CROSSWORD is a new kind of crossword puzzle. Instead of a list of written clues, each puzzle includes a single picture. Some of the answers will be a simple case of saying what you see - but sometimes you might have to think a little more laterally! As you unlock each chapter you'll find new puzzles and pictures - there are people, places, animals, food, vehicles, household objects and lots more. One Clue Crossword is free to play, but contains optional paid items to unlock puzzles more quickly. -= ONE CLUE CROSSWORD Version 1.3 =- More puzzles, more rewards and more features! ● New Chapters - We've added four new chapters (15, 16, 17 and 18) with 64 new puzzles! ● Sticker Collection - Find the stickers hidden in the puzzles for extra rewards. 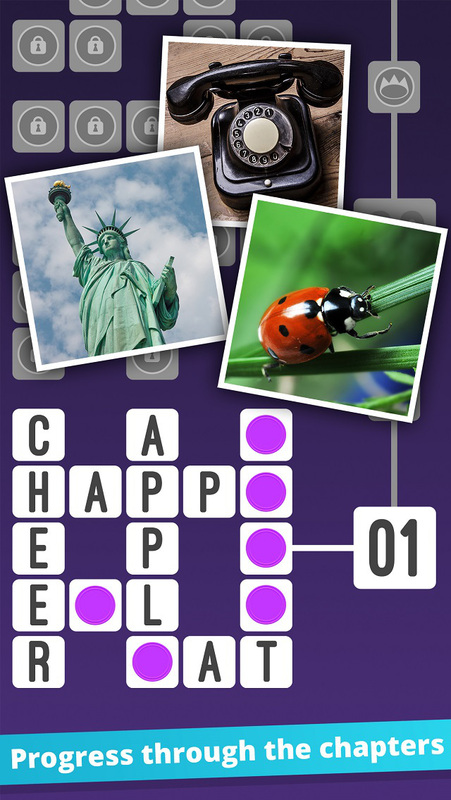 ● Word of the Day - A chance to earn more tokens each day by finding the hidden word. ● Facebook Connect - You can now save your progress to the cloud and continue playing on another device. ● Help System - Find answers to common questions and request support directly from the app. 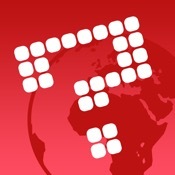 ● Bug fixes, optimisations and a new icon If you're enjoying One Clue Crossword, please take a moment to leave us a review! Reviews help us to bring you new updates and new games. Happy puzzling!